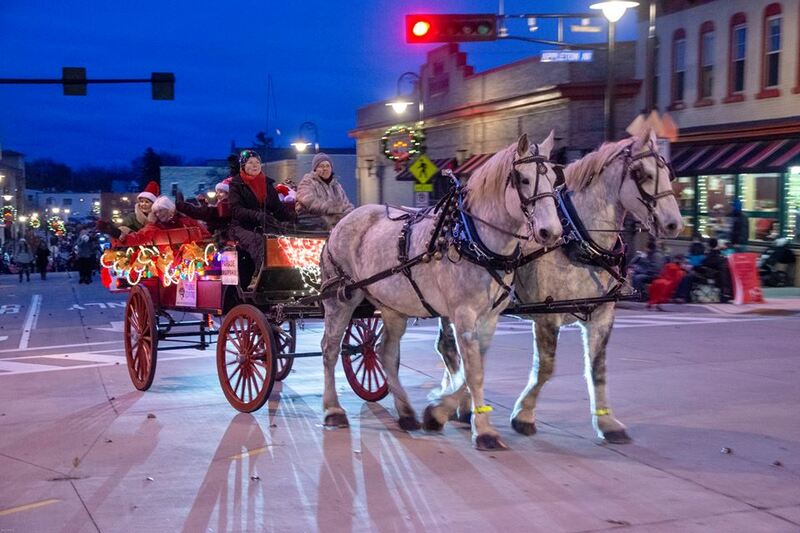 The Christmas Parade route starts at the intersection of Main Street and Harrison, travels through Downtown Menomonee Falls west on Main Street to Appleton Avenue, turns left at Appleton Avenue and travels south to Appleton Avenue and Arthur Avenue where the parade ends. Click on the map to the right and be redirected to a Google Map of the area. For more information about participating in the Christmas Parade, contact Larry Hebbring at 414.899.5807 or email larryh@starpromo.net or Dan Hart 262.502.3825 or email Dan.Hart@rrins.com with questions. Please complete the Participant Application by no later than October 20. The Menomonee Falls Parade Committee reserves the right to reject any parade entry. Christmas Parade Advertiser Fee of $100 is due and must be received by Menomonee Falls Parade Committee, PO Box 716, Menomonee Falls, WI 53052 prior to the parade to be considered.